Ever wondered what the word “success” stands for? For phlebotomists and other hospital laboratory professionals in the Van Nuys area, success represents: a Series of Unique, Creative Continuing Education Self-Study programs (SUCCESS), thanks to the American Red Cross. In phlebotomy courses, students interested in working in a blood bank can learn all about blood donations, the transfusion process and how to treat donors properly and respectfully. The SUCCESS website offers online courses to hospital laboratory professionals and physicians. These courses cover many areas of: immunohematology, blood banking, and transfusion medicine, and they have been developed with the expertise of thought leaders and influencers in the medical community. Individuals will receive CEU (Continuing Education Unit) credits or CME (Continuing Medical Education) credits for successful completion of the study programs. In phlebotomy courses, students are able to learn about these topics, but it is always a great idea to keep learning—even after graduation and certification. American Red Cross Biomedical Services is delighted to share expertise through the SUCCESS program to promote better patient outcomes and scientific advancements in the fields of blood banking and transfusion medicine. Surely, anyone working in the medical field or in hospital settings needs to stay up to date on the latest trends and research discoveries, as well as maintain their certification. Phlebotomists are no different—hospital employees in Van Nuys and elsewhere are generally required to take annual recertification courses to make sure they retain their learned skills and knowledge. Upon completion of phlebotomy courses, students are ready for real-world experience in a blood donation center. However, many phlebotomists struggle to stay current on all the scientific breakthroughs and blood news. This is one of the very reasons why the American Red Cross developed its SUCCESS program. Their online study program offers classes to hospital laboratory professionals and physicians across the nation. The American Red Cross says that the goal of this program is to deliver high-quality educational programs that promote integration, partnership and innovation on all blood-related aspects. The SUCCESS program is particularly useful for phlebotomists working in blood donation centers in Van Nuys and elsewhere. As of now, the SUCCESS courses are only available to employees working at hospitals served by the American Red Cross. To access the course content, those interested and eligible need to first set up an account on the SUCCESS website. When your account is created, you can download and review course materials, then complete a short Post-Test to receive SUCCESS™ CEU or CME AMA PRA Category 1 credits™. You can even track your completed courses on the site! In the future, the program may be accessible to medical professionals and phlebotomists working in any hospital. For now, however, anyone in Van Nuys can check out the course catalogs. 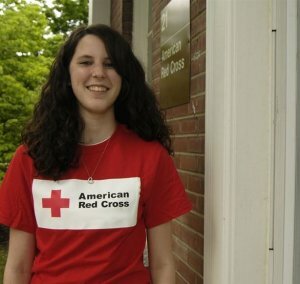 As the program expands over the coming years, the American Red Cross hopes to cover even more topics and offer more classes. A lot of people in the world aspire to continue learning. In phlebotomy courses, students are given the essential tools to make a positive impact in the healthcare industry. Without a doubt, students are encouraged to expand upon their learned skills. With the help of the SUCCESS program, phlebotomists and medical professionals everywhere can continue learning. If you work at a hospital or medical facility served by American Red Cross Blood Services, contact your account representative for promotions and special discounts on our educational programs! The curriculum will continue to grow over time. If you have a suggestion for additional courses and ways to enhance the program, you are always welcome to share! Check out one of the newest courses available now! “The P Blood Group and Unexpected Anti-PP1Pk in an Eleven Week Old Infant.” This learning is available for CEU, CME and SAM credit.